The community is seeking to let the high-profile building in the centre of the village to a business or group of businesses, which would help to sustain local employment and provide some visitor information. Sunart Community Company has been awarded £5,000 from the Sunart Community Benefit Fund Panel to acquire the building and is continuing to fundraise. The centre was shut by VisitScotland last autumn and is to be put up for sale. 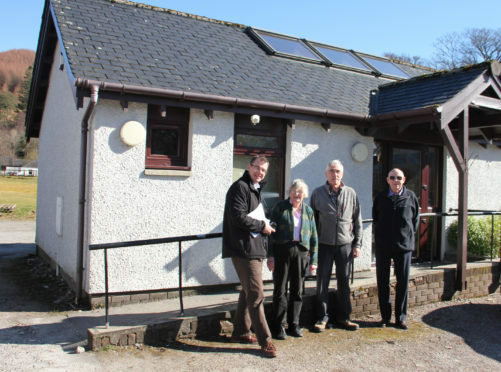 With the backing of the community council and the Sunart, Morvern, Moidart, Ardnamurchan and Ardgour Tourist Association, the company is hoping to purchase the building. This will enable the community to choose the businesses that will rent the premises, and also ensures that the building continues to house visitor information, leaflets and maps, as this will be a condition of the lease. The charity will lodge a community right to buy registration application with the Scottish Government in order to secure the centre for the good of the area. James Hilder, treasurer of Sunart Community Company, said: “This funding is a great boost to our fundraising efforts. What will help us with our application for more support is a clearer idea of those businesses who would like to lease, or share a lease on the premises. The charity has been holding conversations with Visit Scotland over the winter.